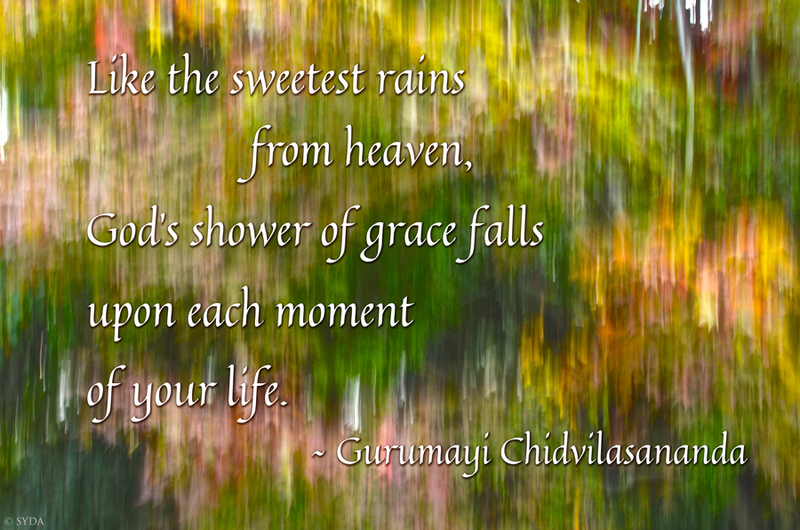 The "shower of grace" that Gurumayi speaks of in Divya Sukta 3 penetrated my heart at just the right moment. My mind stopped in its tracks, and I knew—this has always been true! I felt the shower surrounding me, caressing me, blessing me. Thank you, Gurumayi. May I never forget this wisdom!